After a very busy weekend we decided to go to the cinema so we wouldn't have to spend too much time in the sun and wouldn't have to walk too much. I got the bus into town with a couple of friends then walked to the cinema (too much walking and sun already, haha), met up with our other friends and went to see 'Now You See Me'. I'd wanted to see it since I first saw the trailer a couple of months before, partly because it has Jesse Eisenberg in it (I love him) and partly because it's about magic. Magic. :D It definitely lived up to my expectations and was one of my favourite films of the year. This was the day that my very first giveaway ended. I'd wanted to do a giveaway for a while but had been putting it off until I found the perfect prize, so when I finally held my Summer Reads giveaway I was pretty excited. :D I gave away the Summer trilogy by Jenny Han which are three of my favourite summer books, and the lovely Charli won them! I went away to the Highlands for a week with my family. We stayed in a lodge in Muir Of Ord and had some great day trips to different towns like Beauly, Nairn, Fort Augustus and Forres. We visited Loch Ness, Cawdor Castle and Culloden Battlefield, and even went dolphin spotting one morning. It was an amazing week! You can read about my first two days here, days 3 and 4 here and the last two days here. Sounds like a great July. In England our summer holiday doesn't begin until the very end of July and so mine is only just starting. Sounds great! It was a good month for me, especially winning your giveaway! 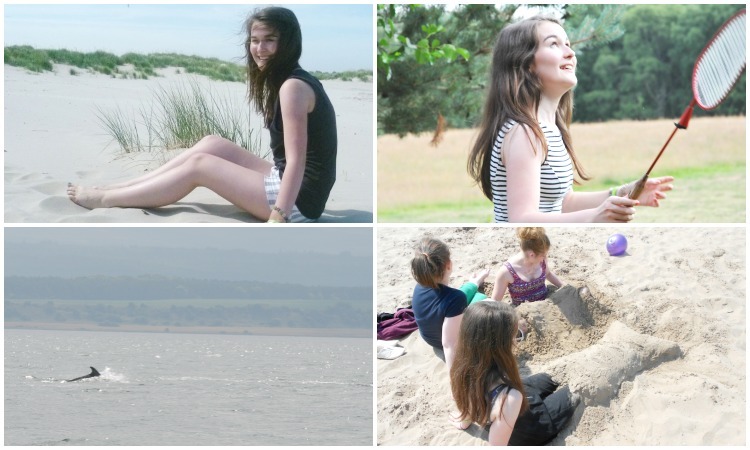 :) I went to Cornwall for the tail end of July till Friday, so that was good too!